The below article was kindly written by Nicholas. There is no particular theme to it, but it is well written and there is a lot about porcelain, stoneware and pottery brands. What he writes is the result of a long trawl through the internet to find a Christmas present – a teapot made in England – and it is to our benefit that he is willing to share his efforts. I wonder which teapot he chose? 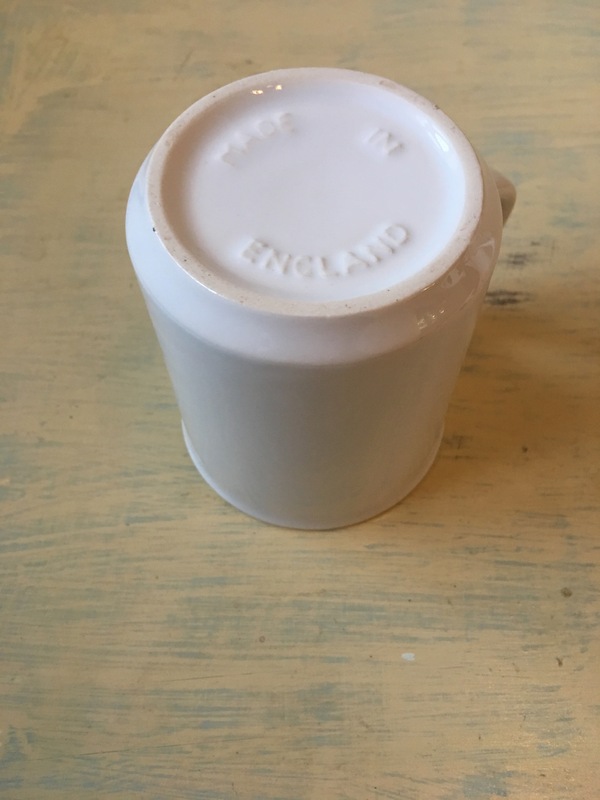 You might also like to see my earlier article on “British Pottery – Pottery, China and Glass Ware made in the UK” to which I have been able to add thanks to Nicholas’ research. Porcelain: Arthur Wood & Sons was incorporated into Price & Kensington in 1989 and both were acquired by the Rayware Limited group. Arthur Wood closed (British production?) in 1995, so I guess any productions that might have happened since then are not made in the UK. Price & Kensington similarly are now manufactured in China or Thailand or somewhere in the far east. Porcelain: Wedgwood Ltd began pottery manufacturer in 1759 under Josiah Wedgwood and has since become an icon in the ceramic industry for its fine bone china and other fine pottery. It was taken over by Waterford Crystal Ltd in 1986 and became Waterford Wedgwood plc in 1989 until its demise due to financial pitfall in late 2008 that left it in the hands of administrators in early 2009. What remains of the once great company still continues with only very high-end products being produced in Britain and Ireland, if any, and the validity of any recent “Made in England” markings is questionable. This entry was posted in china and glass, Clothing, Torches, Watches and Clocks and tagged Arthur Wood & Sons, Aston Pottery, Big Tomato Company, Brown Betty, Cauldon Ceramics, China, Cluson Engineering, Duchess China, England, Grimwades Limited, Guest Article, Heron Cross Pottery, Ingersoll, Josiah Wedgwood, Lochcarron, Lummi, Mrs Bow Tie, Portmeirion Pottery, Pottery, Price & Kensington, Rayware Limited, RLT Watch Co., Royal Albert, Royal Doulton, Royal Winton, Royal Worcester, Smiths, Spode, Stoke-on-Trent, Swinton Potteries, The Anglo-Celtic Watch Co. Ltd., The Chatsford Teapot, The London Teapot Company, The Old Sun Pottery, Torches, Watches, Waterford Crystal Ltd, Waterford Wedgwood, Waterford Wedgwood plc, Wedgwood Ltd on April 16, 2014 by ukmade.